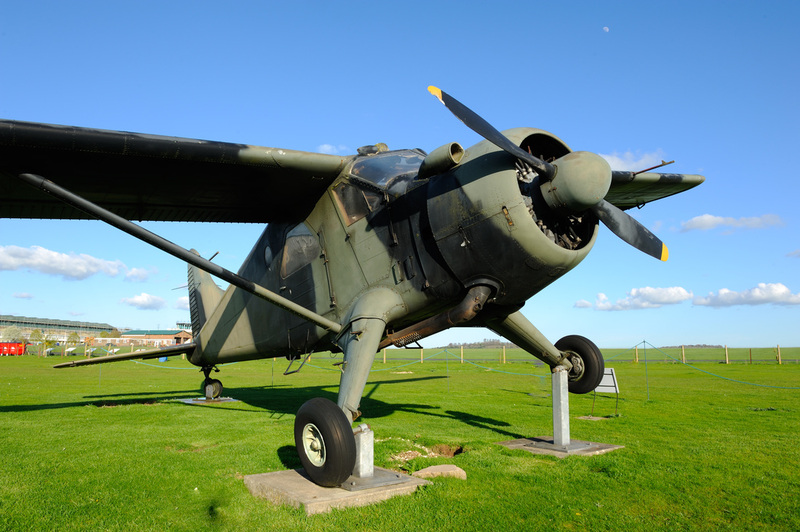 Located in the County of Hampshire in Southern England, Middle Wallop has had a long association with military aviation. 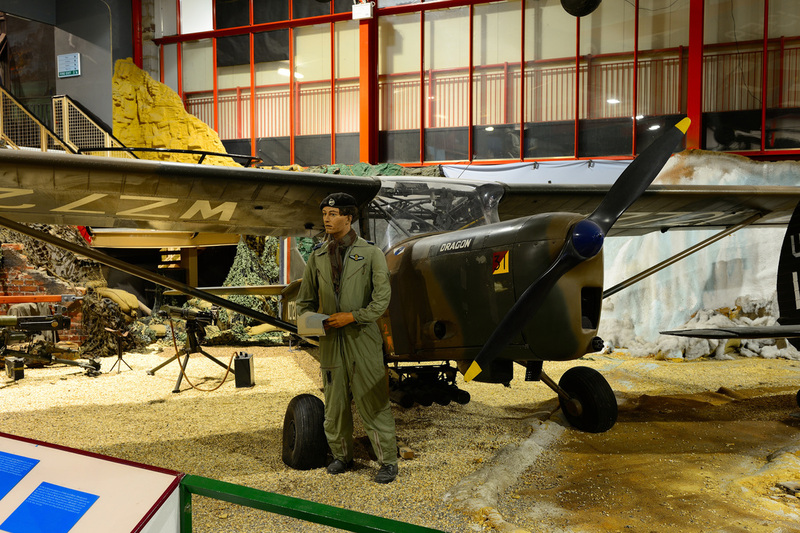 From its opening in April 1940, Middle Wallop continues to be an active front line airfield and today is Headquarters tp the Army Air Corps. 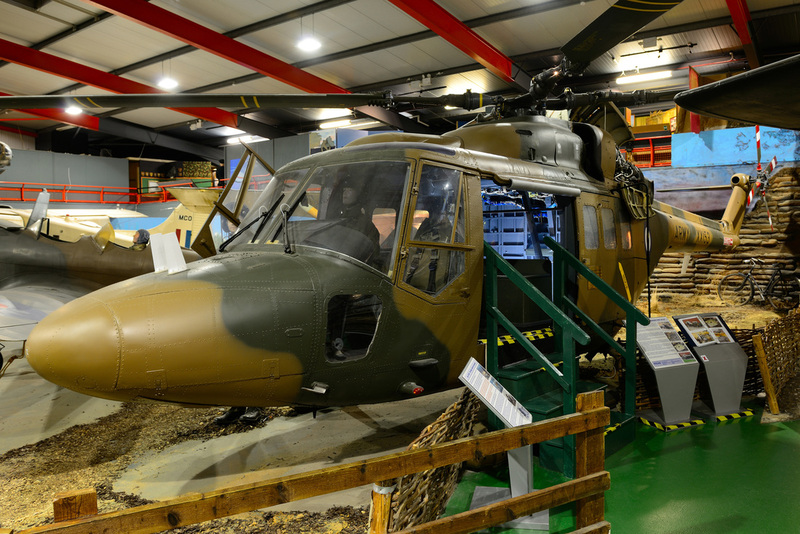 It also houses a number of Army Air Corp (AAC) helicopter squadrons and is home to the Museum Of Army Flying. 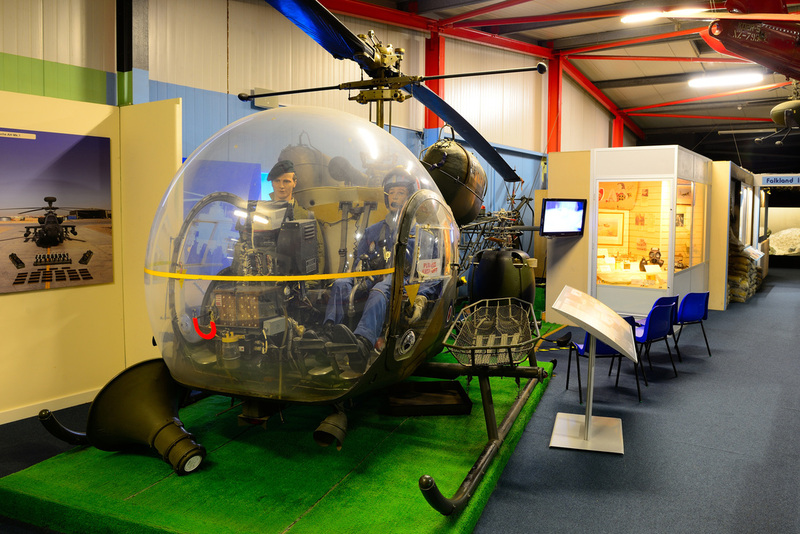 The Museum's aim is to chart the history of soldiers in the air. The Apache Cafe there is even information detailing departures and arrivals that are expected for a given day. 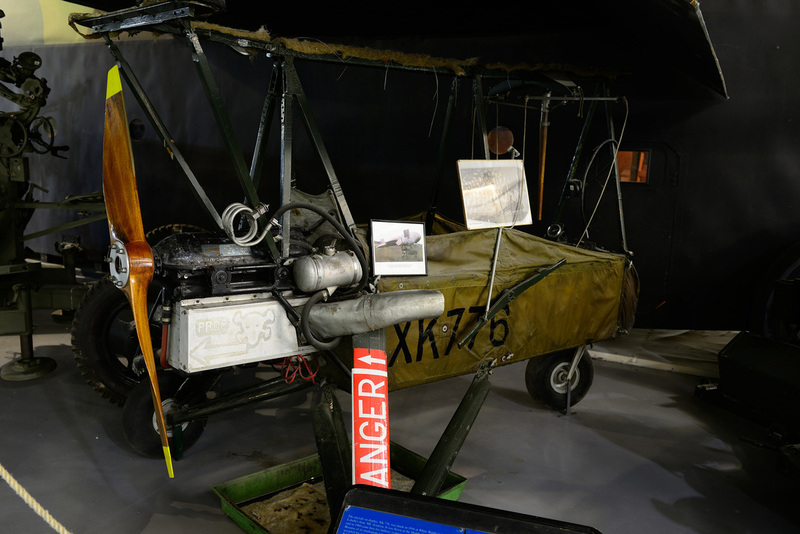 The British Army started using gliders during World War Two having seen their effectiveness when utilised by the German Army during the Battle Of France. In May 1940 Winston Churchill ordered that the first Army Air Corps be created. 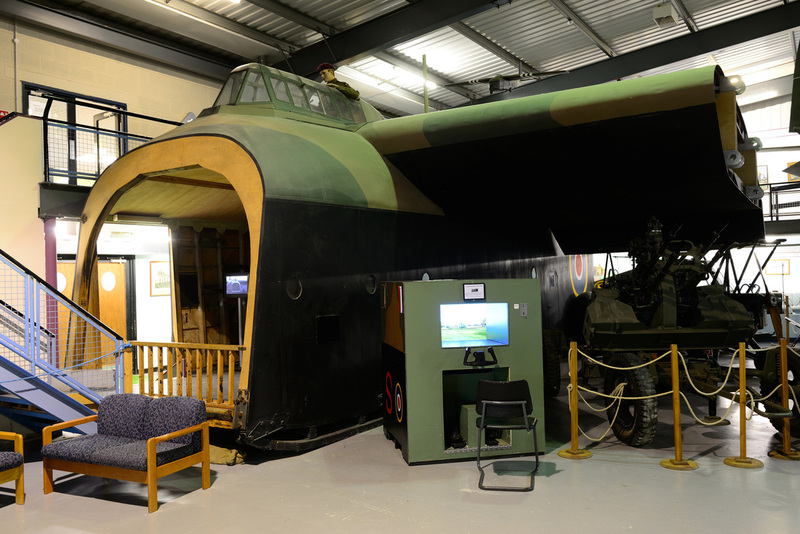 This was made up of The Glider Pilot Regiment, Parachute Regiment and The Special Air Service. 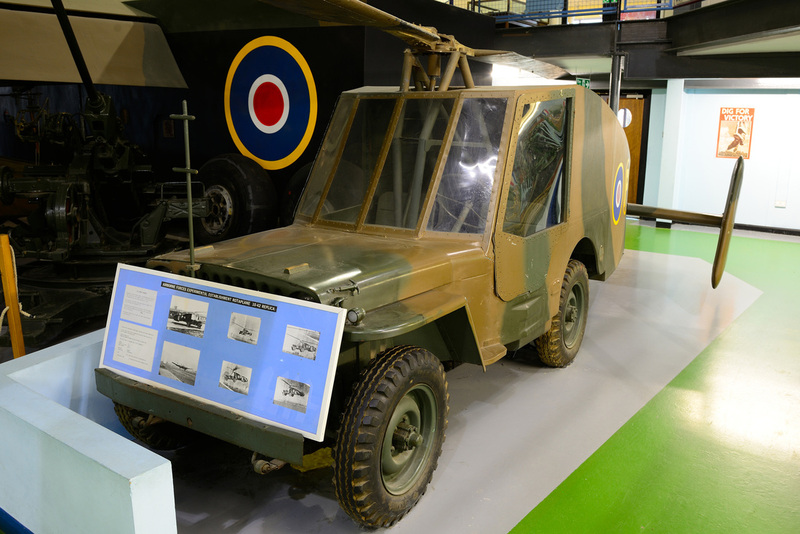 As well as delivering soldiers, gliders were used to transport ammunition, jeeps, tanks, and supplies to the area of operation. 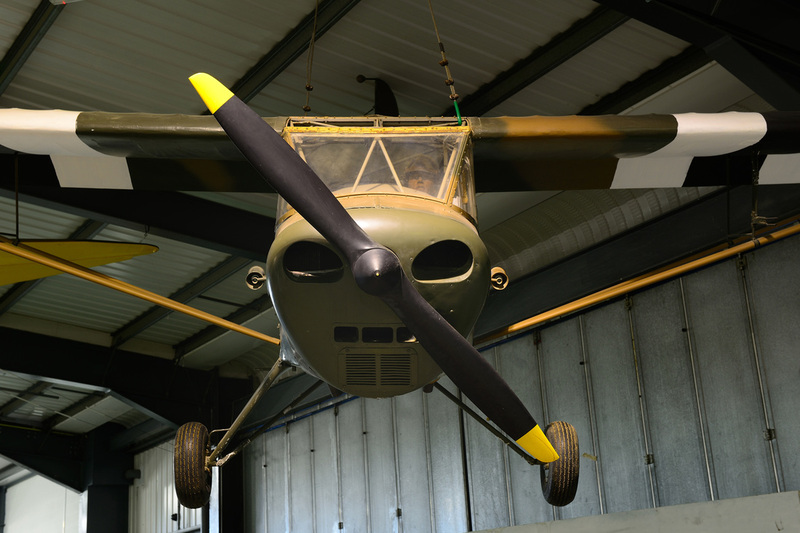 Glider designs current at the time would have been the Airspeed Horsa, General Aircraft Hotspur and Hamilcar. 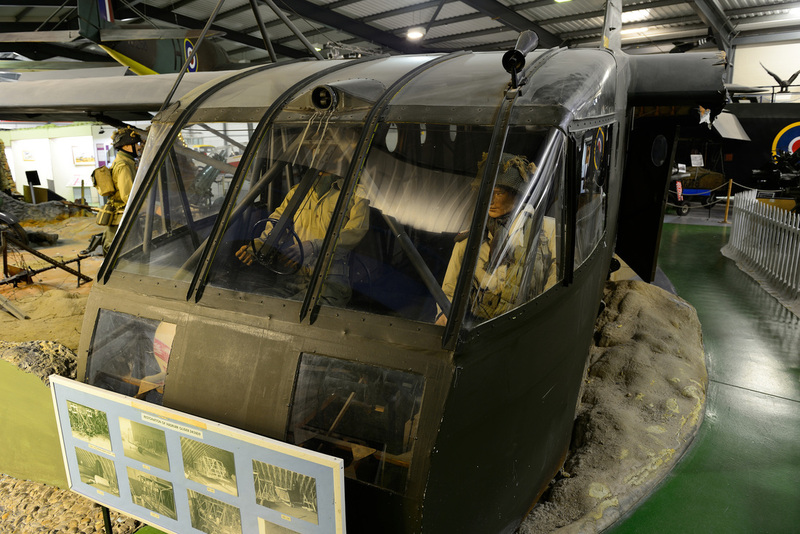 Gliders were towed to their assigned target area by tug aircraft, typically war weary Stirling or Halifax aircraft as well as C-47s and then released to make their final approach, often resulting in a crash landing. The first use of gliders was an attack on the German heavy water plant at Rjukan in Norway. Codenamed Operation Fleshman, the attack was not a success mostly due to the very bad weather conditions which the force was subjected to. 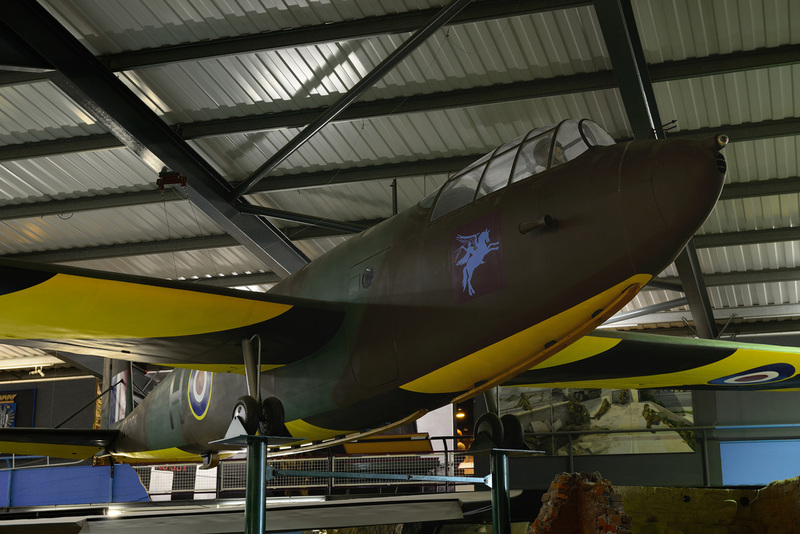 The Allies first major use of gliders was during the invasion of Sicily in July 1943. On 6 June 1944 the force went on to take part in D-Day with the successful assault on Pegasus Bridge and the subsequent invasion of France. 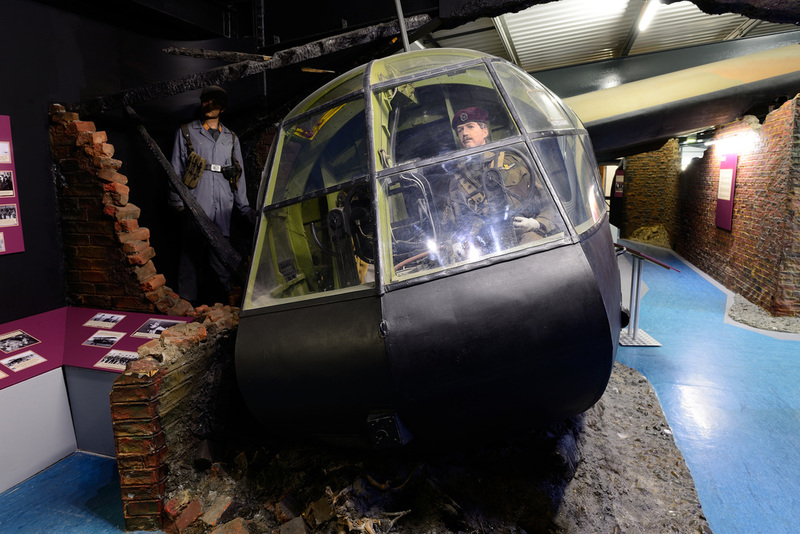 Gliders were also used in the unsuccessful Operation Market Garden in September 1944, where an attempt at the Dutch town of Arnhem to secure a bridge across the Rhine, failed due to the Parachute Regiment not being reinforced in time to hold out against a superior German force. 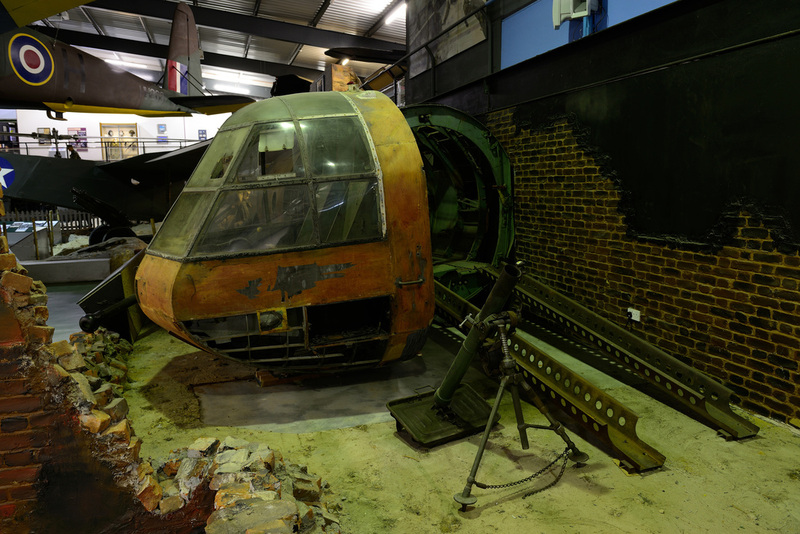 The last use of gliders took place in March 1945 during Operation Varsity when an assault on the Rhine was undertaken. 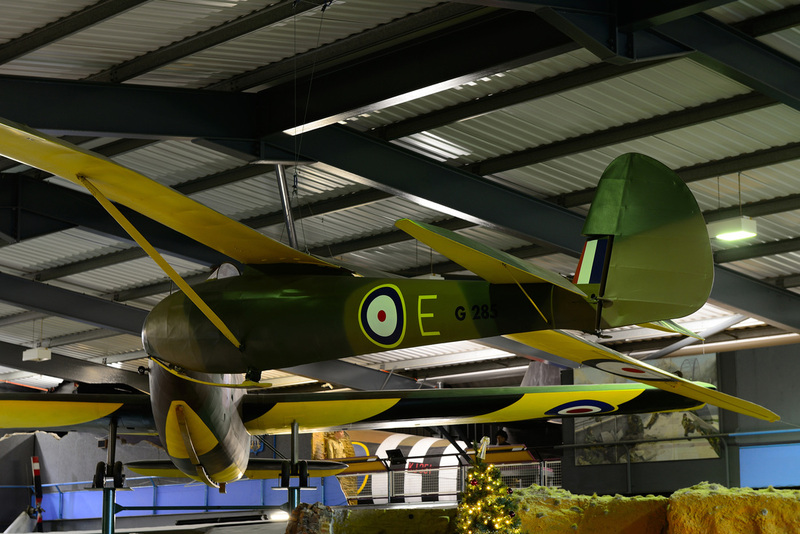 Due to their construction gliders have not survived well into preservation, however, the museum has a number of replicas and fuselage sections which represent some of the gliders used during the war. 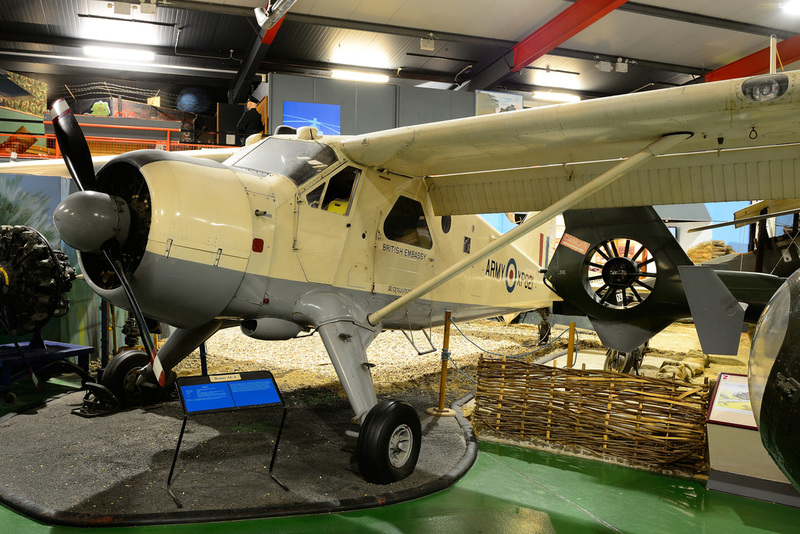 Despite their fairly benign appearance these small light aircraft could strike fear into the heart of the enemy. AOPs were the eyes of the artillery and could bring down devastating firepower on opposing forces. 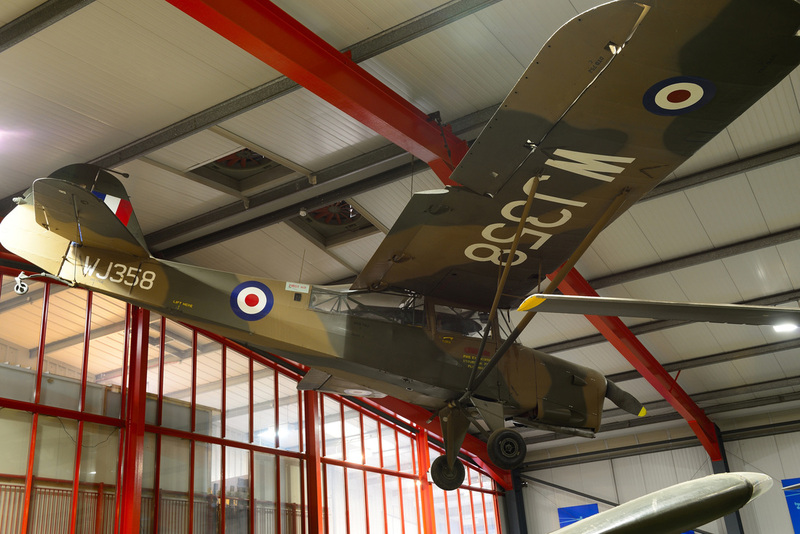 During World War Two AOPs were flown by both RAF and Army pilots. 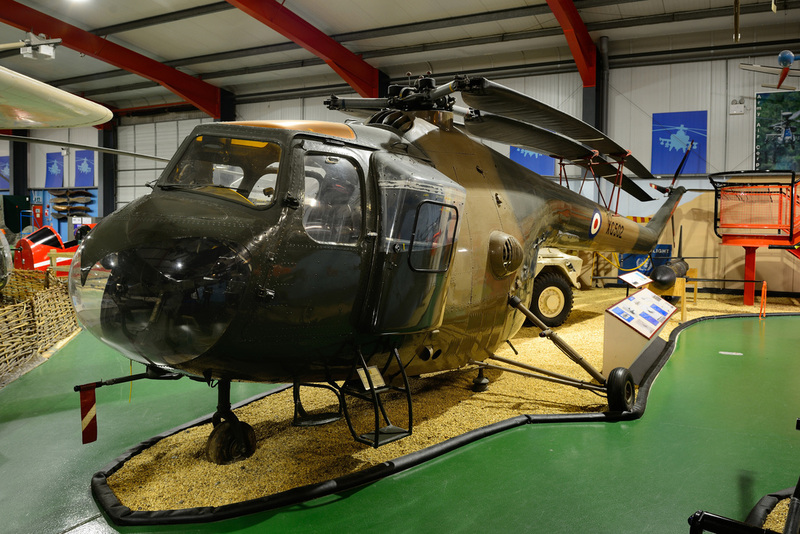 In 1957 when the Army Air Corps (AAC) was formed the role was taken on by AAC pilots with fixed wing aircraft being replaced with helicopters. Military helicopters first started to appear towards to the end of World War Two. 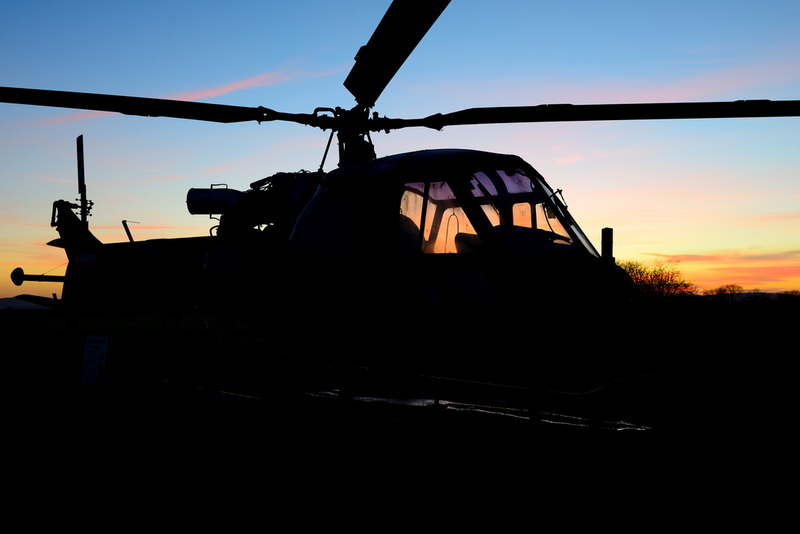 Over the years since then helicopters have gone from the simple pistons engine designs such as the Sikorsky Hoverfly and Bell 47 to today's sophisticated gas turbine powered types such as the Apache and Lynx Wildcat. 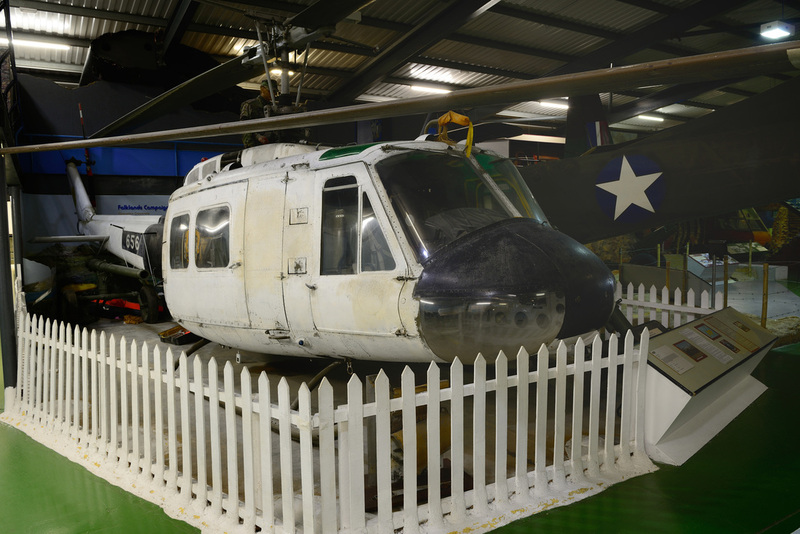 AAC helicopters were used throughout the Cold War and were primed and ready to take on the hoards of Warsaw Pact tanks that were expected to flood through Germany in the event of an attack. 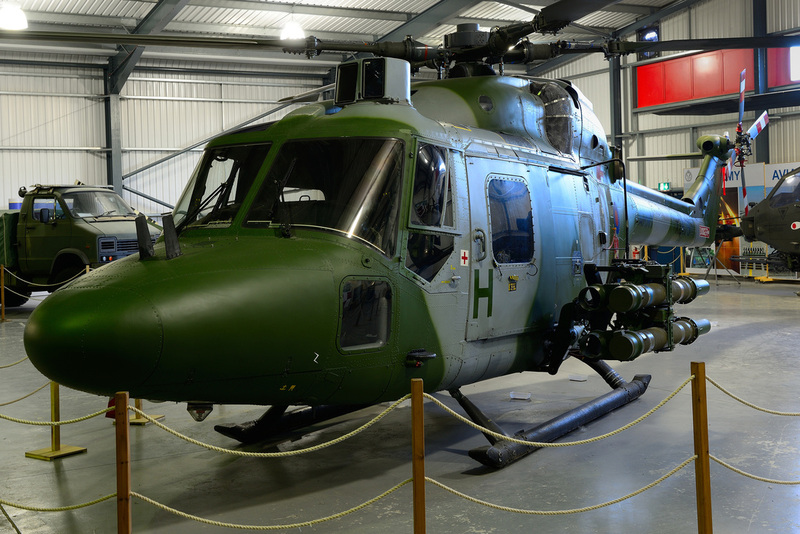 Scout, Lynx & Gazelle helicopters were armed with SS.11 & TOW missiles and would use "nap of the earth" tactics to avoid detection and to launch attacks. 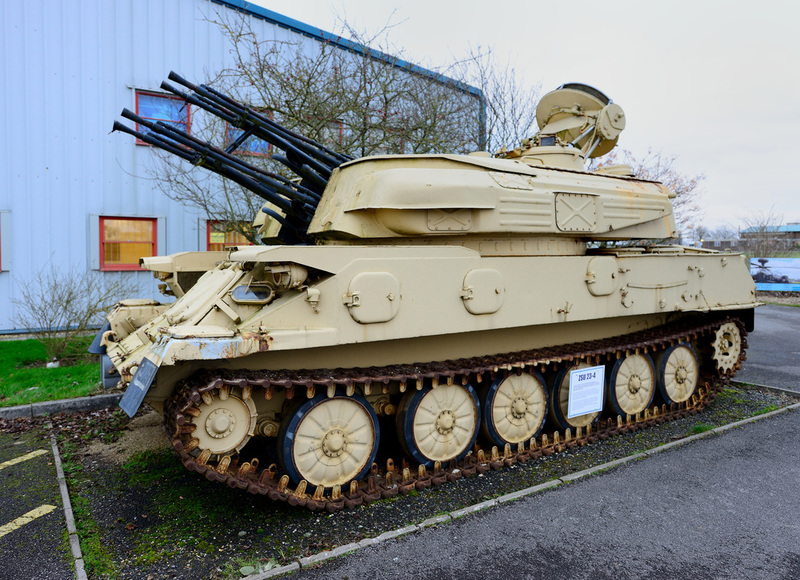 The AAC were involved in many post war conflicts such as Aden, Borneo, Northern Ireland, the Falkland and both Gulf Wars. 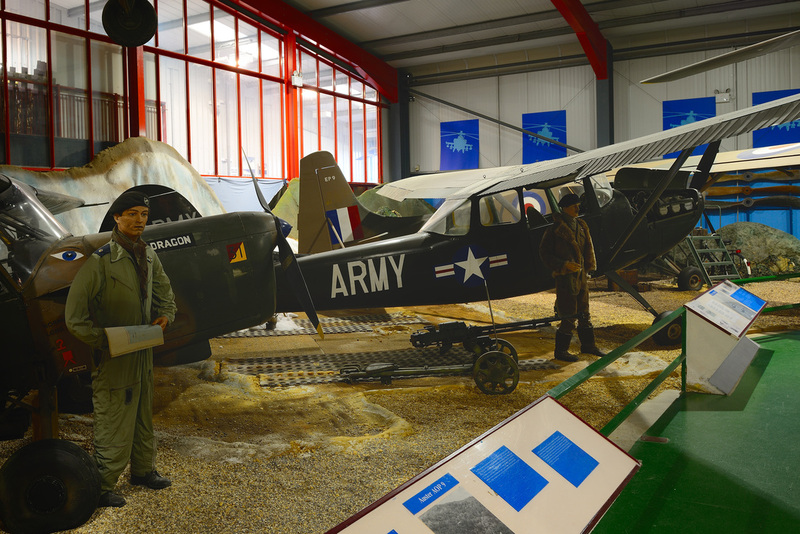 Examples of the types flown by the AAC are displayed at the museum as shown below. 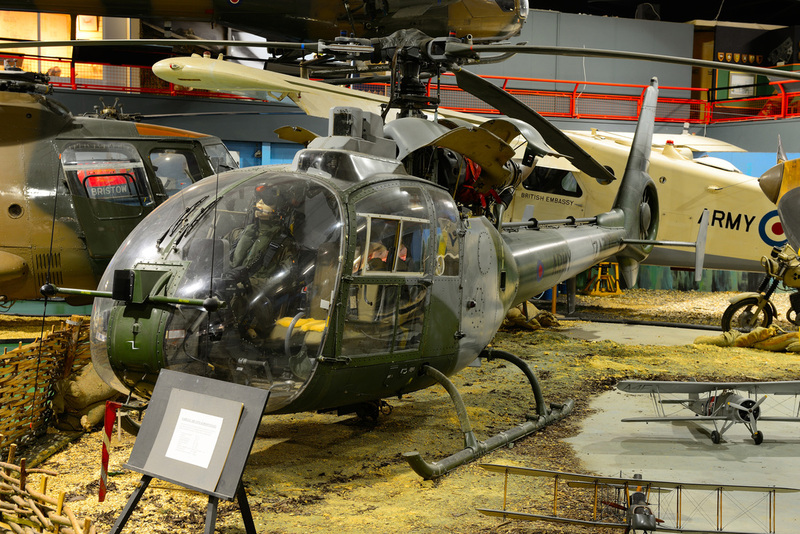 The first dedicated anti-tank helicopter to come into service was the Hughes AH-1 Huey Cobra. 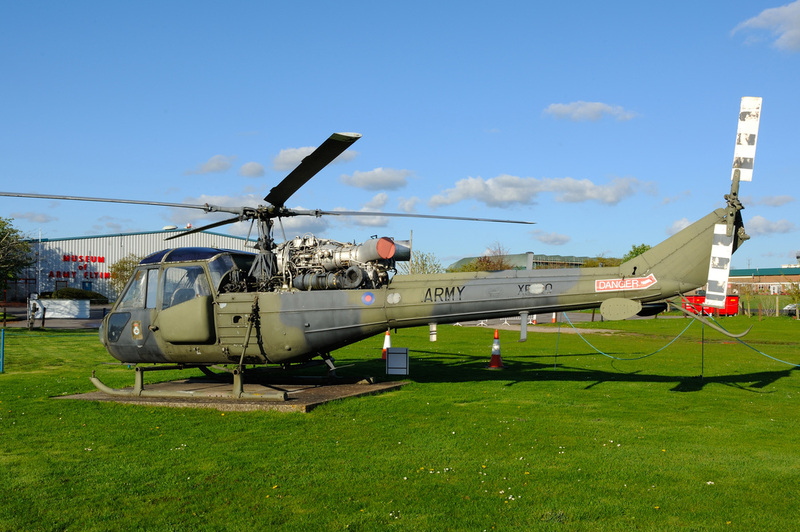 The aircraft was the backbone of the United States Army attack helicopter force. 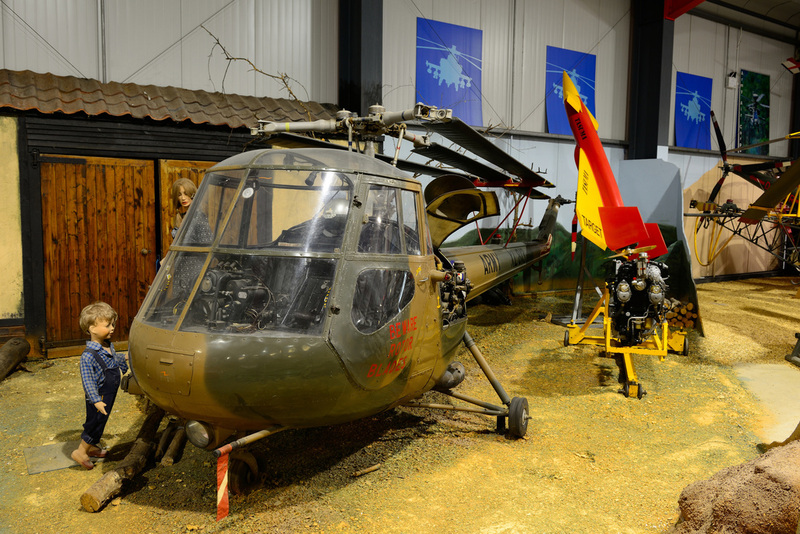 Huey Cobras were used extensively in the Vietnam War and were also stationed in Europe to take on Eastern Bloc armour should a war have broken out. 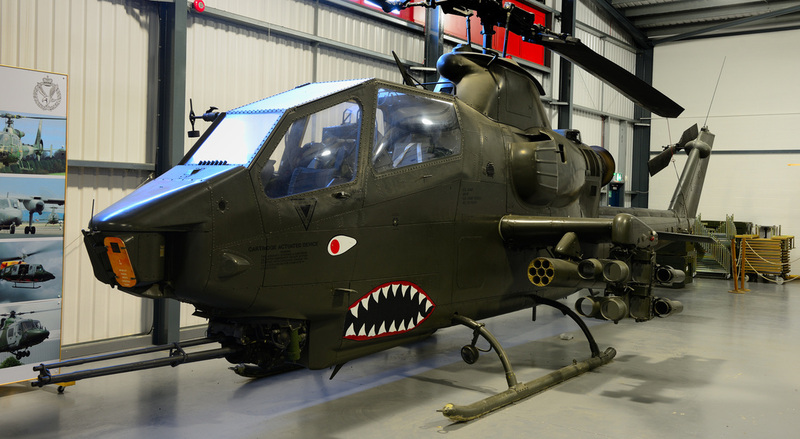 The Museum's AH-1 was acquired from the US Army in 2003 and is displayed with very aggressive looking "shark mouth" markings. 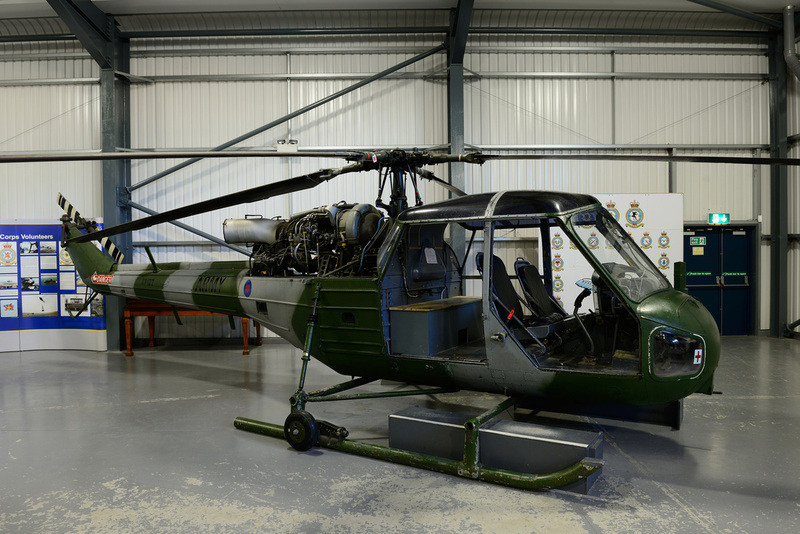 Basic flying training has and still takes place at Middle Wallop for both fixed and rotary wing aircraft. 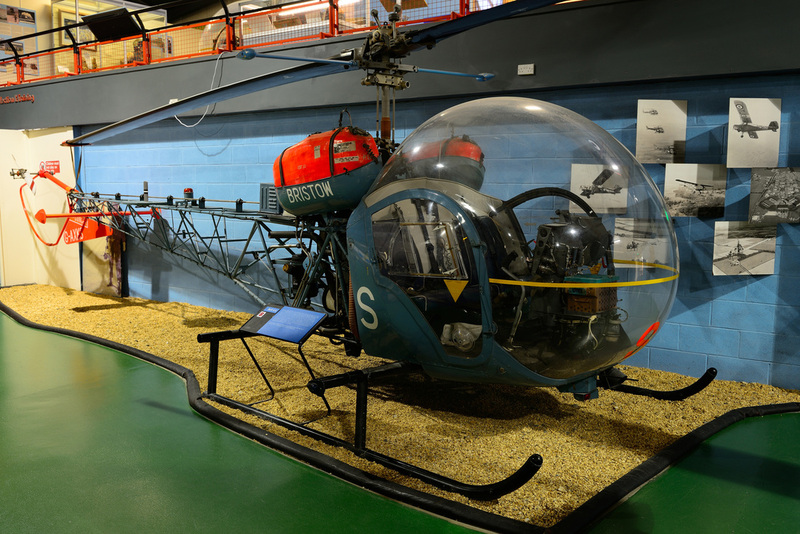 Between 1969 & 1981 rotary wing training was undertaken by Bristows using Bell 47 helicopters. 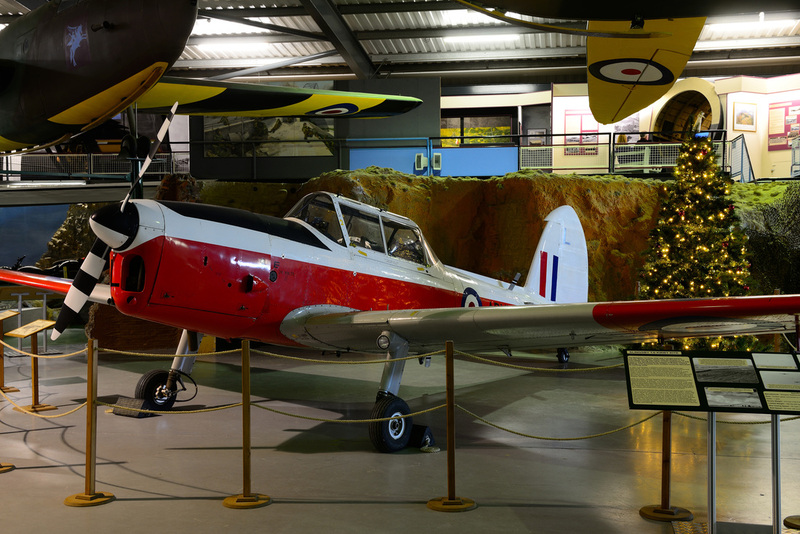 From the early 1950s until 1997 de Havilland Canada Chipmunk aircraft were used for fixed wing training. 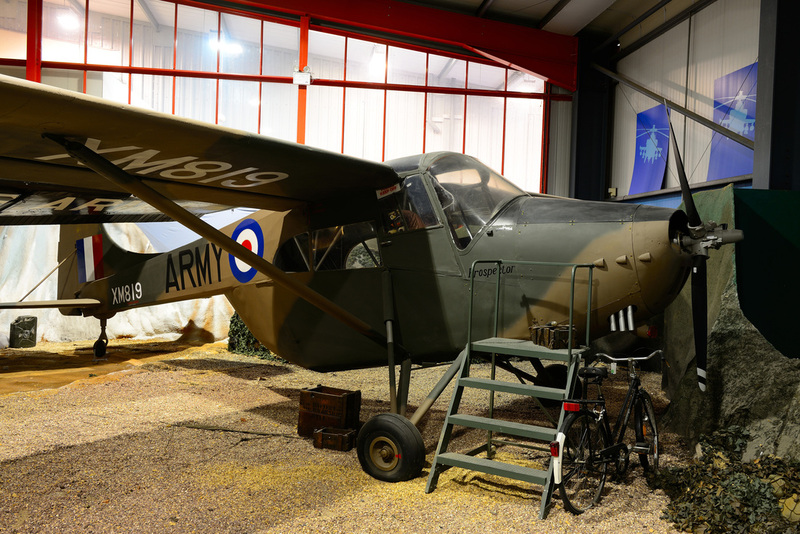 The Chipmunk was an aircraft that introduced many AAC & RAF pilots to their service careers. 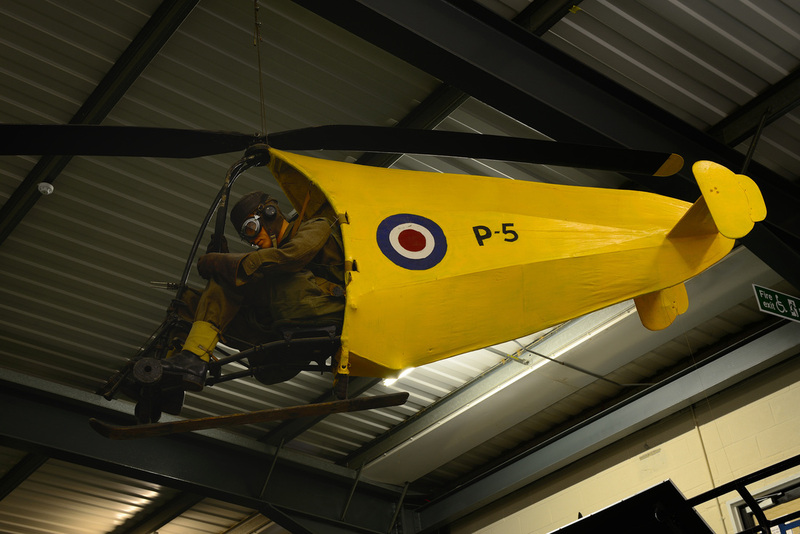 There have been some quite strange ideas for getting soldiers into the skies. Although these strange craft were tested and flown, they never went into service when it became clear gliders were far more practical. 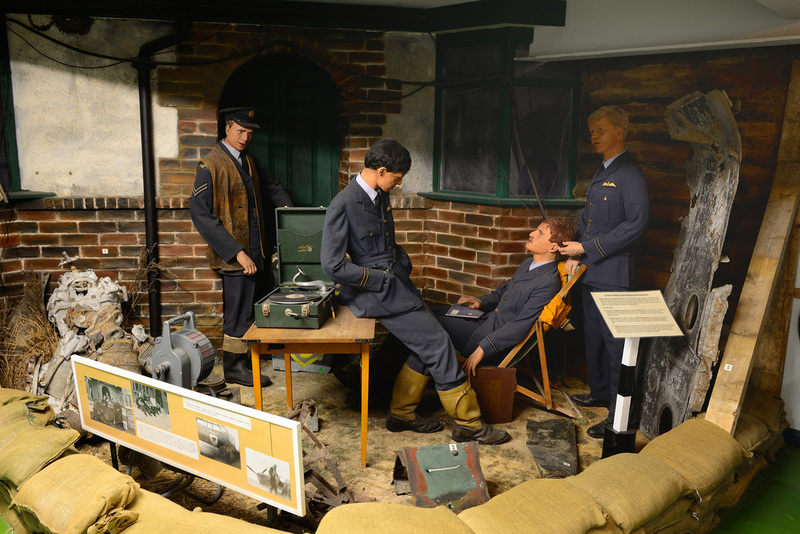 The Museum has a number of dioramas that record the history of soldiers in the air as well as Middle Wallop airfield which is depicted below showing its role in the Battle Of Britain. 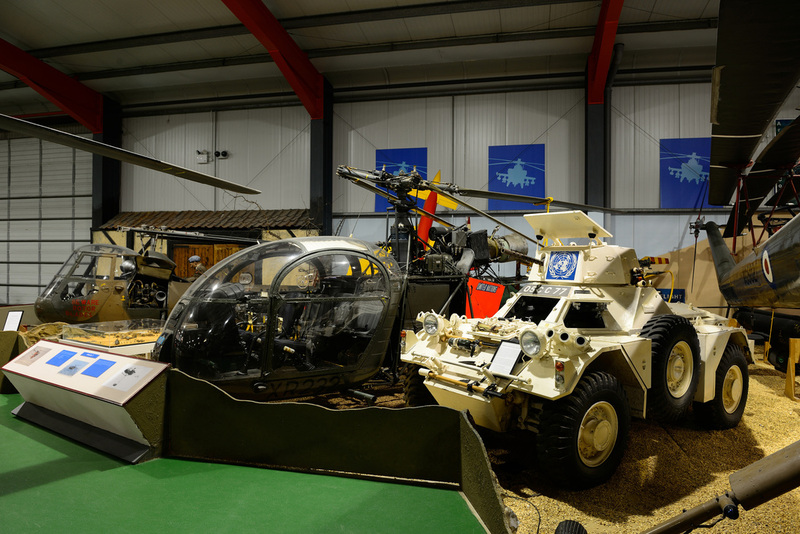 Below are shown two items of captured equipment on display at the museum that were brought back from the Falklands & Gulf War. Located at the entrance to the museum.